Aquarian brand is launched by Marsh Fishcare Industry. Aquarian first launched in UK 1975 with making 8 varieties of flakes fish food, invariably for goldfish. Since that, Aquarian brand has been run into various modifications, added varieties, and new packaging. 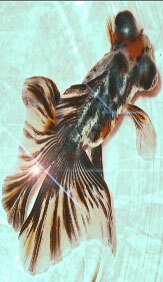 Until this time, Aquarian still develop a superior fish food. Marsh Fishcare itself is industry leading manufacturer and international supplier of complete aquarium and pond products. They have been manufacturing various aquarium and pond products in different categories among others Aquarium and Pond Treatments, Aquarium Equipment, Aquariums and Fish Nutrition. Marsh Fishcare has been developed until this time, likewise the Aquarian brand itself. This evidence has given enough insight that Marsh Fishcare is a solid industry. Like the principle they have that developing innovative, new, and breakthrough products are the keys. And, Marsh Fishcare stands basically to provide products that are easy and convenient for consumers to use, and help them to be more successful in the hobby.